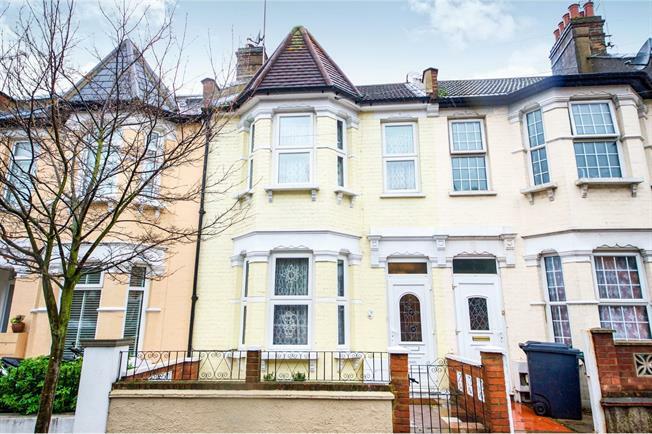 3 Bedroom Terraced House For Sale in London for Asking Price £600,000. Benefits includes modern living space, freehold, double reception rooms, bay windows, 40 foot garden, upstairs family bathroom, gas central heating (untested by Bairstow Eves), double glazing (where stated), superb location. Double glazed bay window facing the front overlooking the garden. Radiator, laminate flooring. Double glazed uPVC window facing the rear. Radiator, vinyl flooring. Granite effect work surface, fitted units, stainless steel sink, integrated, electric oven, gas hob, over hob extractor, space for washing machine. Double bedroom; double glazed bay window facing the front overlooking the garden. Radiator, carpeted flooring. Double bedroom; double glazed window facing the rear overlooking the garden. Radiator, laminate flooring. Double bedroom; uPVC bay window facing the rear overlooking the garden. Radiator, laminate flooring. Double glazed uPVC window with patterned glass facing the rear overlooking the garden. Radiator, laminate flooring. Low level WC, panelled bath with mixer tap, shower over bath, vanity unit with mixer tap.